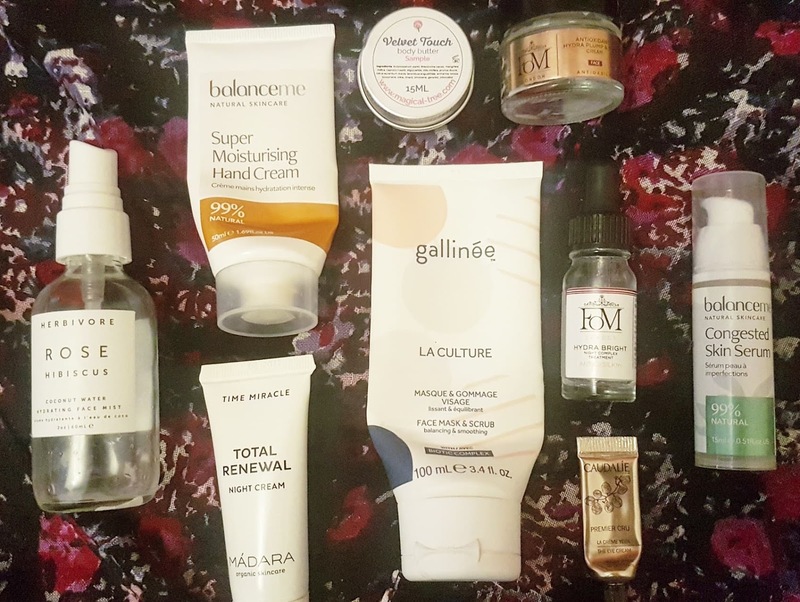 Normally I would not post my empties before the end of the month, but seeing as my second Christmas Gift Guide launches next week (December 3rd! ), I wanted to be sure I had time to review what I finished using in November. If I waited, it might be the new year before this post was ready! Before I jump into this month's empties, I wanted to give a little warning that this may be the last one for a few months. Why? 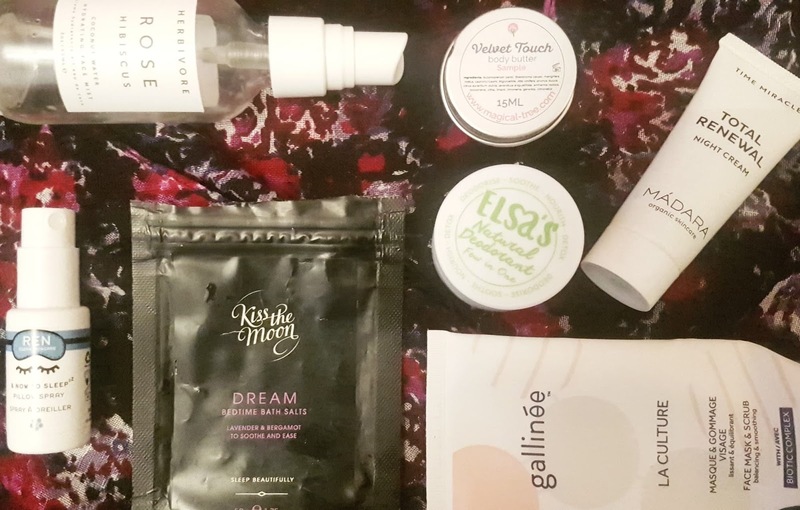 Well, as you may know I am on the judging panel for both the 2019 Beauty Shortlist and Wellbeing Awards, and I have been busy testing testing testing. I won't be sharing any of my thoughts on entries until after the awards, so even if I finish a product entirely it won't make its way into my empties stash until after March 1st. I may end up combining a few month's worth of goodies into one post, as I will still be using a few bits and bobs that are not entrants, but otherwise this is it for the next while! But why so many empties this month if I have been busy trialing all these other products? Well, as I have said many times in the past, I really do not like wasting anything. So, if an item I had was less than half full or if the use by date was approaching, I finished it up before starting on a BSA product. In terms of what I finished in November, I had eighteen empties -- mostly things I had on the go for quite a while, along with a few that were approaching the end of their lifespan. This was a month heavy on Love Lula items, something that is always an extra bonus as I don't have to worry about expensive shipping costs if I want to reorder several things! There were primarily facial products and aromatherapy goodies, as I tend to use a bit more of these during the colder months. Out of the 18, all but two were recyclable, which means I am doing better in terms of my impact (but there is still room to grow and improve!). I got this is a past LL Beauty Box and ended up really liking it -- it's vegan, the texture was perfect and glides smoothly across your underarm, and the application method is the easiest I have tried. This is the closest to a high street deo I have found in the natural beauty world, and it brings all the conveniences. I found this lasted me all day without having to reapply, and the scent itself was really light and refreshing (zesty!). My only complaint is that the packaging is plastic, and after a few enquiries it seems that it is NOT recyclable. This is a huge issue for me, so I won't be repurchasing this particular product again, but will instead opt for their tinned deo which is plastic free (and able to be recycled or upcycled). This vegan friendly body oil smells so lovely and is really uplifting thanks to the strong citrus notes in it. I found this perfect for those days I was feeling down or a bit foggy. The oil is a little thicker than others I have used recently, but it absorbs pretty well and leaves you feeling soft and smooth. I actually ended up using this in the shower most days, applying around my hips, lower back, and thighs mainly to help tone and moisturize those overlooked areas. One thing I really loved was that it came in a glass bottle -- I hope more Weleda products begin to make this switch in the future too! Will I be repurchasing? Eventually, yes! Just have to work my way through my stash first. I really like Apple & Bears body washes, and find each and every one I have tried smells stunning. The vegan friendly formula lathers up pretty well and a little bit of the product goes a long way. My main wish is that the brand switched over to glass bottles, as I'm not keen on the plastic ones. If they switch over to glass I will definitely end up buying a full size. Like all Kiss the Moon products I have tried, these bath salts were divine. The salts are a medium coarseness (not super fine like Forage Botanicals, but not thick crystals either like Herbivore) and dissolve really well in warm water. The instructions say to use 1-2 tbsps but I tend to use the lower end and have a brilliant experience each bathtime. Scent wise, these are so relaxing and perfect for a pre-bed soak. I am already eyeing up the plastic free jar, but think I should finish up my full size bag of Glow before I buy it! If you are looking for a vegan body butter that is super moisturizing, absorbs well and dries down within minutes so you aren't left with slick skin, and smells incredible, then Magical Tree's is one you have to try ASAP. I was really thankful when I got a sample of Velvet Touch to try, and I was so impressed by the quality -- my skin felt incredible after using, and the scent lingered and helped lift my spirits (lavender, chamomile, and sweet orange -- super calming!). I will definitely be getting a full size of one of these body butters in the new year. 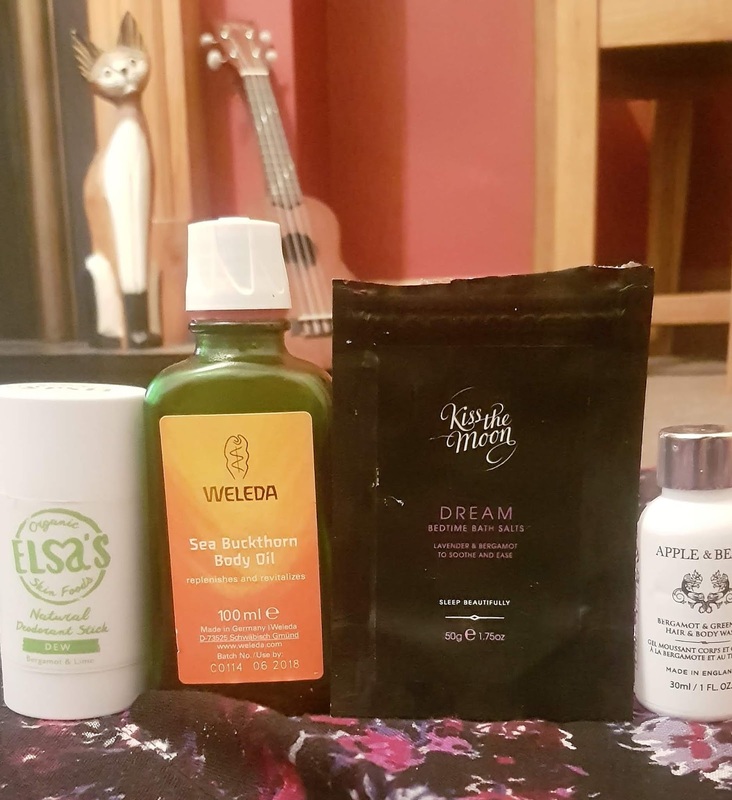 This is another one of Tim's empties -- before I stopped buying Caudalie products (see previous empties posts for reasons) I was sent a bundle of vegan friendly samples to trial, and many of them just weren't for me. Tim's skin is much drier than mine, and needs more TLC, so the Premier Cru eye cream was one that worked pretty well for him. It smelled a bit chemically, but overall it helped smooth the skin under his eyes and at the corners, and was a good little 'in between' product before I could find his tube of Madara cream again. Okay, I have to say it... While I loved this mist at the start and was all ready to get a bigger bottle, I ended up being a little disappointed with it in the long run. Don't get me wrong -- it feels super light and refreshing, and it does help keep your skin fresh and cool, but it didn't do too much else for me. I have had better results from both less expensive floral waters and more expensive hydrosols, so this leaves this product out in the cold for me. I think I will give the Jasmine Green Tea one a try instead next time, as that sounds like it could be a bit more effective. If you want to try this for yourself, or any Herbivore products for that matter, maybe consider using my link to grab either 20% off your first order (USA) or £10 off first purchase (UK). Okay, so I did like this, but not as a face product -- it was a little too scrubby for my semi-sensitive face, so I used it on my arms, legs, and the rest of my body as a leave on exfoliating treatment or a quick scrub in the shower. It left my skin feeling smooth and clear, and a bit more hydrated than before use, so I think overall I enjoyed it in the end. Won't be repurchasing, but was happy to give it a go! I've talked about this serum soooo many times in the past that I won't spend too much time on it here, but just know this is my tried and true spot prevention treatment. That being said, I am taking a mini break from it and trying out some new products. Will see if any of them work as well/better, and will decide whether or not to rebuy after that. I wanted to like this, but my skin just couldn't get on with it. The serum itself is pretty light and you only need to use a small amount, but it was just a bit too much for my semi-sensitive face. Rather than wasting the bottle, I used it as a hand serum which worked pretty well -- my hands definitely looked more radiant after a few weeks use! If you don't have sensitive skin and are looking to treat age spots, hyperpigmentation, or just need a hydration boost, this is a good bet -- just not for me. This worked out much better for my face, and while it was a little thicker than I usually opt for, it has been great for this cold dry weather. I like that this has anti-pollution at the heart of the formula, and this is probably the star feature of this cream. Living in the city (even though we are outside the centre) pollution is always at the back of my mind, and I do regular skin detoxes to help combat the effects. This cream helps act as a barrier in the day to day, while also firming and smoothing the skin. Will I repurchase? 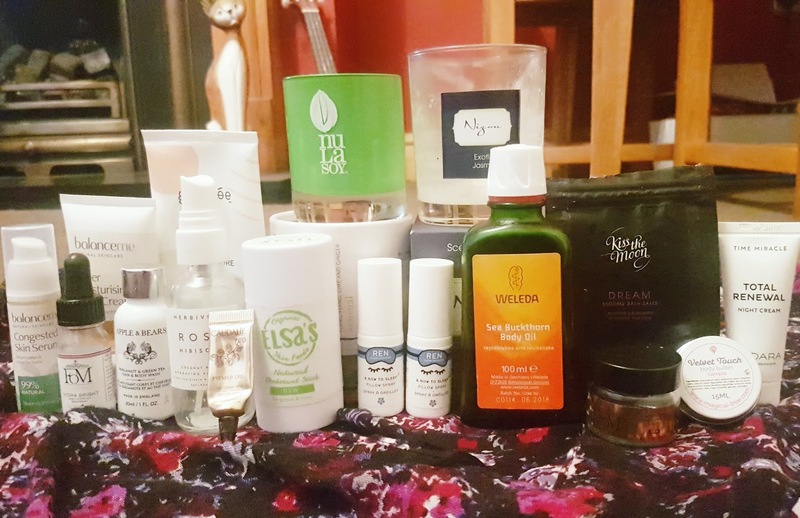 I'm not sure yet to be honest - I have so many moisturizers to work my way through, but after my stash runs dry I will come back and think about it. Another one of Tim's products -- wow he really got through them this month! This was from a LL Beauty Box a long while ago, and we finally got around to opening it. He called this his 'green cream' and as long as it wasn't icy cold (our bathroom gets real cold in the winter!) he enjoyed this one. The vegan friendly cream helped soften and smooth the skin (especially around the forehead area) and brought a nice glowy look to his whole face. It's a bit pricey for someone who doesn't really care what goes on his skin, so we probably won't be buying this again, but if you actually love skincare this could be a good bet as it is really effective. Okay, so I know I have not always been keen on REN in my reviews, but this is the exception because I LOVE this pillow spray. It is so calming, so lightly fragrant, and just perfect to help lull you off to sleep. We got the sample from a LL Beauty Box and it came at the perfect time (Tim periodically has pretty severe insomnia) -- it just really helped. I recently bought Kiss the Moon's pillow mist, and was gifted one from Tisserand recently as well, so I won't be repurchasing this for a while. But this is definitely on my list of IT WORKS products. This candle was love at first sniff -- it is simply gorgeous. With jasmine, lime, ginger, and ylang ylang, it is just the perfect thing to soothe your senses and leave you happy and calm. It is definitely in my top five candles I have used this year, and I want to work my way through the entire Nula Soy range to see if the others are just as good. I love that this is all natural -- pure essential oils, no nasties of any kind -- and doesn't cause my allergies to go haywire. I enjoyed this, but I have some reservations. Nizou are not as upfront about their ingredient lists, and while I assume they use essential oils (since there is only jasmine, ylang ylang, and lilies listed) there is no indication if this is correct. This one smelled nice, but I prefer Nula Soy. Also, it did not last quite as long as I thought it would (maybe about 30-32 hours rather than the stated 35). It was longer than the Nula Soy one, but not by much despite it being much larger. I enjoyed it while it lasted but am not sure I will be repurchasing from this brand until I can figure out if they use synthetic or natural oils. I had a great month in terms of the products I finished using, and there was only one I wasn't super keen on, but Tim loved my creative use for it so it didn't end up being all that bad. 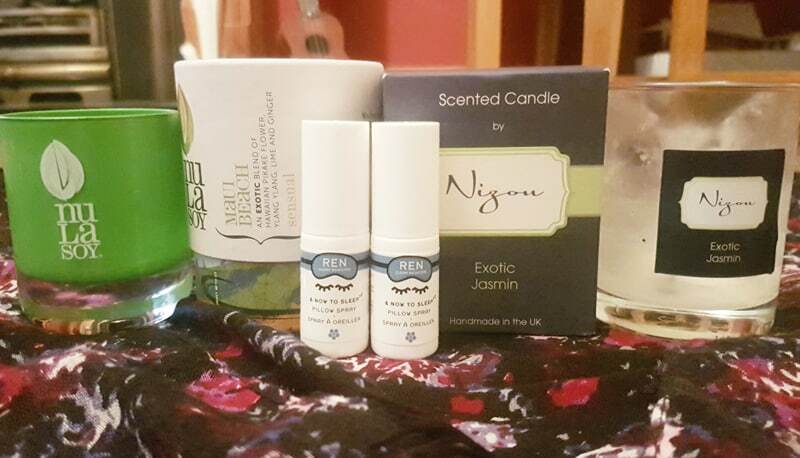 Overall I found a few favourites, including the REN pillow spray, Magical Tree body butter, and the Nula Soy candle, and have added some future goodies to my wishlist, like Elsa's plastic free deodorants and Kiss the Moon's plastic free bath salts. Not too shabby if I do say so! Were any of these products on your radar, or have you used them yourself? Let me know! And I would also love to hear what you finished using up in November -- I'm always so curious! Like I said, I will not be doing an empties post for the next long while, but I will try to do one multi-month one once I have enough products to include -- perhaps in February. Then, after the awards are announced in March, it will be back to regularly scheduled empties posts! I can't believe you finished so many products this month! I barely use any :) Love the sound of the Weleda body oil. Gosh, there is always so much to learn: plastic fee bath salts, for instance. Thanks for such a thorough and helpful post. I find myself increasingly looking for items for personal and household use that are sold in glass rather than plastic. It's not easy. I love the Elsa Deoderant but agree that it is a shame it cannot be recycled so i will be buying the tinned version when i next need one.